SEO is a trend that’s here to stay. With the online community expanding exponentially, it has become more critical than ever that all businesses, whether global or local, have a powerful online foothold. And as we all know, to gain a strong online presence, any organization needs to have strong search rankings. In comes – SEO!. Although many local entrepreneurs think that SEO isn’t necessary for the targeting the local market, let us break this notion for you. Granted that the local sphere isn’t as competitive as the global one, but when you leverage the power of SEO, you start gaining a competitive advantage in the local market. The target audience for local businesses is small and compact and when you start showing up on the various search engine results pages (SERPs), you are increasingly making your presence known to the massive online community that’s always on the hunt for products and services that can help solve their specific problems. So, that’s your key to becoming the business magnate of your local market! According to a report by Search Engine Land, almost 54% of Internet users search for local businesses using the zip codes and names of city/town. It also states that every month, local businesses find 59% of their consumers searching for them on the Internet. Hence, to thrive in a local market, you must be extremely good with SEO! To be precise, your business must pop up on the new “Google 3-pack” and the maps of mobile devices. Here are a few local SEO tips that are a sure shot recipe for success for small businesses. With the help of tools such as Yext and Localeze, find out where your firm’s online local listings are. Use Google MapMaker to search if there are any duplicate listings for your business. Make sure you provide various possible names for your business. This will help dig out any listings that exist. The information usually presented in such listings is incorrect as it is gathered randomly from around the web. Doing this will boost the rankings of your business in the SERPs and who knows, it might even pop up in Google’s 3-pack! Your company website essentially represents you and the service you provide. So, optimizing your website is crucial to improve your search rankings. Choose a domain name that talks about your business and its location, so your business will display in the centroid of maps. Using tools like Google AdWords or Moz Keyword Explorer, you can filter out the most widely used local keywords and incorporate them into your website. Conduct an SEO audit and check what the right keyword density for specific local keywords and keyword phrases is. Lay stress on meta tags and descriptions, but keep them short and crisp. Try to keep the page title within 70 characters and the title descriptions within 160 characters. Stone Temple Consulting maintains that almost 30% of Google searches display featured snippets. This is an excellent way of driving traffic to your website. Strategize and design your content in a way that it gets an entry in the featured snippet that pops up when one types a relevant keyword. Also, make sure you include the location and phone number in the website. If possible, add these little details on every page of your website and not just the homepage. Curate the content of your website in such a way that utilizes all the relevant information about the local areas you serve. In other words, your website should also highlight relevant news, events, and attractions surrounding your local area. This will increase your visibility to your target audience. Another vital aspect that most business owners tend to overlook is the power of photos. When people search for your business online, original and good quality images centering your business, location, and so on, can help them relate to your business and know more about it. So, make sure you add a few snaps to your website! Relevant links to your website from other websites and vice versa can enhance the online visibility of your business. When people start linking your website to their websites, it is an indirect declaration of the credibility of your website and its content. As more quality links attach to your website, search engines will review it as a mark of authenticity for your business and improve your search rankings. There are many ways by which you can encourage link building. For instance, you can leverage the power of social media tools (Facebook, Twitter, Instagram) to share links to your website. When the content is useful and relevant, it spreads like wildfire on social media. You can also create a local directory or blog where you can talk about the attractions of your local area, nearby restaurants, cultural heritage sites, etc. This way as you link out to others on your website, you can ask them to return the favor by linking your website to theirs. However, tread carefully in this region as you do not want to create or promote such linking schemes that end up spamming your business domain name on the web. An SEO audit and backlink analysis can help you figure out unauthentic links and disclaim them. Customer reviews are crucial to expanding your business reach and also for increasing your online visibility. Incorporate such features (for example, a web button) that’ll help your visitors and customers to offer reviews about your product/service. Make sure you’re active in engaging with your customers through comments and relevant tags on your social media pages. Encourage them to leave comments and increase mentions about your business on social media sites. 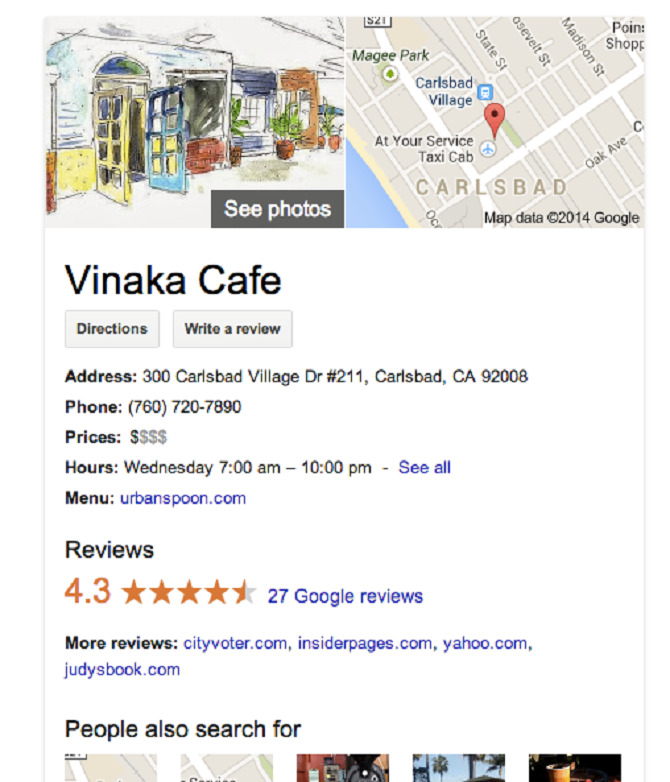 These will boost the search rankings of your business in the local search results pages. Another study on Search Engine Land states that search engines like Google consider customer reviews as a significant determinant for listing businesses within their top ranking listings. All the positive reviews on the SERPs about your company prompt users to incline towards you, thereby helping expand your potential customer base. However, reviews can be negative too, and that’s completely natural. In case your customers leave negative reviews, try to communicate with them, identify their pain points, and take proactive steps in correcting your shortcomings. The next time, they’ll have good things to say about you! With the increasing growth of smartphones, the number of mobile users is rapidly increasing too. According to a report, almost 60% of search queries arise from mobile devices. While most websites are laptop compatible, it’s a good idea to optimize your site to make it compatible with mobile devices such as smartphones and tablets. By doing so, you’ll be reaching out to the large community of mobile users in addition to the online users. This will give you an edge over your competitors in the local market. With these tips at your disposal, you’ll be all set to conquer the local online market. And for all the rest of your needs, there’s always Content Ninja!